Feile – Our U14 boys and girls teams represent the club at the National Feile competition this weekend which is being hosted in Down/Louth/Meath. They have both prepared diligently over the last number of months and we do hope the competition goes well for them. They will make many more friends over the course of the weekend and that is hugely important too. We wish the teams and managements a very enjoyable and safe trip. Sympathy – We were saddened to hear of the passing of Mary Kennedy, Mohill CLG and we express our heartfelt sympathy to her beloved family and club. Mary epitomised what volunteerism and support of your club is all about. She will be sadly missed. May She Rest In Peace. Annual Club Camp – We are delighted to confirm that the Annual Glencar Manorhamilton 3 day Football Camp for boys and girls is back by popular demand this year. It will take place from Monday 13th – Wednesday 15th August from 10am to 2pm daily. €20 per child which includes a gift. Registration forms have issued this week to all the National Schools in the local area and they can be returned at the weekly Football Academy every Friday evening in the Bee Park. For further details contact Dominic Kelly 086 8511410 or Sheila McMorrow 086 3531705. Adult Leagues – Our Sunday game in Division 3 away to Aughavas was conceded. Weekend fixtures will be posted on our Facebook Page once released. Please continue your support to our adult teams. Leitrim Seniors – Well done to the Leitrim senior football team and management who defeated Louth last Saturday evening in Páirc Seán in the qualifiers. Our club is represented by James Rooney and Gary Hickey. It was a great occasion with supporters basking in the sunshine and on cloud 9 with the result. Academy – Our Club Football Academy for U7s and U9s takes place every Friday evening from 6.30 – 7.30 pm in the Bee Park. New players joining every week so do be sure to come along and enjoy the fun and games. U9s – Well done to our U9s who were involved in the half time football exhibition games in Páirc Seán during Leitrim’s fantastic win over Louth in the Qualifiers on Saturday evening. U11 Boys – Our U11’s are currently participating in the go-games blitzes. Their next fixture will be notified to parents once confirmed. Aidan McGowan Memorial Tournament – Well done to our U11s who won the Aidan Mc Gowan Memorial Cup in Grange on Saturday. This was a massive achievement for these young fellows against really tough opposition. Big thank you to the host club St Molaise Gaels for putting on a brilliant tournament. Sincere thanks to James Glancy, Ciaran McLoughlin, Dominic Kelly, Kenneth McMorrow and Ciaran Sheridan who mentored the boys on the day. Jack Kelly and Colm Rooney had the honour of accepting the Cup on behalf of their team mates. Well done again to all. U12 Longford Leitrim League – Hard Luck to our U12 team who lost their Semi Final match against Fenagh on Tuesday the 19th June in Boggaun. It was an excellent game of football played by two exceptionally well prepared teams. We wish the Fenagh boys the very best of luck in the final. Preparations now turn to the U13 Championship which gets underway in early July. 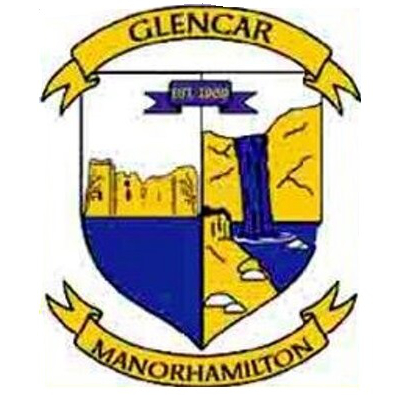 Community Games – Congrats to the Manorhamilton Area Community Games Girls U14 Gaelic Football team who won the County title against Carrick Area in Boggaun on Thursday evening last. They now represent Leitrim in the Connacht finals due to be played in Carrick on Shannon in July. Best of luck to the U12 team who play their County Final away to Ballinamore Area this Thursday evening. Please support. U16/Minor Girls Training – This group of players train every Saturday morning from 9-10am in the Bee Park. Contact either Martin Johnston or Tommy Gallagher for further information. U12 Girls – Well done to the U12 girls who defeated Keeldra Gaels in their second game of the season last Tuesday in Gortletteragh. They played St Josephs in Boggaun on Tuesday 26th June. U8/U10 Girls – Our Coaching sessions in basic gaelic football skills for girls takes place every Wednesday evening from 6pm -7pm in the Bee Park. All girls in this age group are invited to come along. Please bring water and suncream (if required). Our three coaches are Grainne Rooney, Fidelma Loughlin and Dermot McMorrow and any questions can be directed to Dermot on 086 1768533. The U10 girls took part in a blitz in St Josephs on Saturday. Many thanks to everyone at St Josephs for a great day out, our players and supporters thoroughly enjoyed it. Pitch Bookings – All pitch bookings for the Bee Park and Boggaun are to be made through Patrick McMorrow. Patrick can be contacted on 0868973339.